Watch The Vancouver Club's Master Barman Jonathan 'Johnny' Richard make one of his award winning signature cocktails: the Smokey Pear. 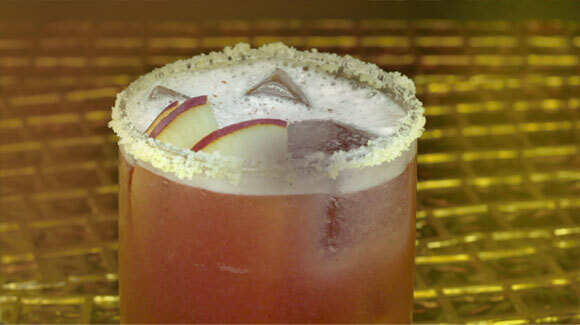 Wintertime flavours mingle elegantly in this seasonal beverage which has become a holiday favourite with Club Members. Johnny handcrafts key ingredients for his cocktails, never failing to impress guests with his creativity and tasteful pairing. See the full video and more on The Vancouver Club's Vimeo page. Browse the behind the scenes photos from the shoot on The Vancouver Club's Flickr page. You can find more videos from The Vancouver Club on our Vimeo page. Watch The Vancouver Club’s Master Barman Jonathan ‘Johnny’ Richard make one of his award winning signature cocktails: the Smokey Pear. See the full video and more on The Vancouver Club’s Vimeo page. Browse the behind the scenes photos from the shoot on The Vancouver Club’s Flickr page.